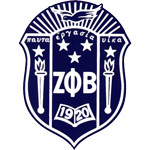 Zeta Phi Beta Sorority, Inc. was founded on January 16, 1920, on the campus of Howard University, Washington D.C. The vision of five women, known as the Five Pearls, Zeta Phi Beta is based upon Service, Scholarship, Sisterly Love, and Finer Womanhood. With chapters in Nigeria, Siberia, Sierra Leon, Bahamas and the Virgin Islands, Zeta Phi Beta Sorority, Inc. has grown to more than 100,000 members throughout the world. Since its inception, Zeta Phi Beta Sorority, Inc has chronicled a number of firsts: Zeta Phi Beta was the first Greek – letter organization to charter a chapter in Africa in 1948. Also, Zeta Phi Beta was the first Greek – letter organization to form adult and youth auxiliary groups. Zeta Phi Beta is the first to be constitutionally bound to a fraternity, Phi Beta Sigma Fraternity, Incorporated. Zeta Phi Beta is dedicated to the ideal that service to the community is our greatest legacy. Therefore, Zeta Phi Beta’s national programmatic thrust – Z – HOPE (Zetas Helping Other People Excel through mind, body and spirit) encompasses the economy, education, government, community volunteerism, substance abuse and prevention, health and wellness, and chapter management. Throughout the years, Zeta Phi Beta has initiated a variety of partnerships with: the American Red Cross, the American Heart Association, and March of Dimes, creating a signature program of Zeta Phi Beta entitled “Stork’s Nest” which encourages women to seek early and prenatal care. Six illustrious women chartered Chi Epsilon Chapter of Zeta Phi Beta Sorority, Inc. at UGA on March 15, 1975 under the sponsorship of Eta Omega Zeta Alumnae Chapter. Since its founding, Chi Epsilon has been an integral part of the University and Athens community. Chapter projects including fundraising for the March of Dimes, working with Children’s Miracle Network, the Athens YMCA, Habitat for Humanity, Communiversity, and other campus service organizations. The ladies of Chi Epsilon are individuals dedicated to the principals of working to improve the human condition by encouraging the highest standards of scholarship through programming and promoting service on campus and within the community.